I love the Episcopal Church and I am privileged to be an organist working in it. But I am not alone in wondering about the future of the Church in which I find myself employed. We live in an era marked by increasing technicization. It's not enough to be able to turn on electric lights in our homes by flipping a switch; now it is possible to operate lights with voice commands. Parallel parking is less important in driver education as more and more cars park themselves. With the click of a mouse, we readily assign friendships, likes, loves. But the church should and must resist such technicization. Don't get me wrong. Electric lights, the public address system, and word processing are probably the three greatest enhancements to Episcopal worship. But electric lights do not replace real candles (at least I hope they don't!). The public address system doesn't read the lessons or preach the gospel on its own. Service leaflets may help worshippers to follow the liturgy, but they draw their effectiveness from the Book of Common Prayer, the Hymnal, and our liturgical tradition. Furthermore, all of these technological enhancements are added costs. It would be cheaper not to turn on the lights, maintain the sound system, or run a church print shop every week. It is only with music, it seems, that we regularly find a desire to radically cut the expense of producing worship. It is a similar desire for economic efficiency that drives the author of "The Future of the Organ for Church Worship" to suggest an electronic replacement for the organist itself. The author argues that organists are hard to work with and difficult to find (a double whammy!). Why not just get what he calls an "organ in a box"? But let's be clear: this name is terrible. He's talking about replacing the lay professional who plays the organ with a device so the more accurate term would be "organist in a box", or even a "robot organist". The reason that the organ has developed as an instrument for Christian worship (and it did so in physically large churches) is that it is tremendously efficient already. There is no other single instrument capable of such a wide range of pitch, color, and sheer sound. That an organist was required to play such an instrument was simply a fact of life. It was still a paragon of efficiency. "Pastoral control over weekly content". Yes, in the Episcopal Church the rector is in charge of worship, but it doesn't seem to me that he or she is necessarily an expert in music or hymnody. In a Christian context, it seems that control is less important than conversation. How else will clergy keep abreast of new hymns and new currents in church music? In an ideal situation, it seems that someone skilled in music should have some input too. "Accurate and professional sounding organ led worship". Where we really see the Emporer's New Clothes for what they are is the "professional sounding" remark. This is now full-on illusion. The expertise is desired at none of the expense, or even a relationship. "Reliability". On balance, I don't know that organists miss any more Sundays due to illness, injury, or family emergency than clergy do. I don't think we have a reliability crisis in the organist profession, and I think it's disingenuous to suggest that we do. 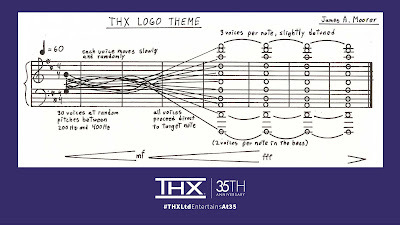 On Monday morning after the outing to hear the orchestra, the employee got a memo from his boss detailing all the ways that the orchestra was inefficient. There were too many violins, for instance. All of the violins were effectively doing the same thing. Why were there so many of them? The best violinist should represent the whole section and his or her sound should be amplified. The remainder of the section should be fired since they are redundant. I believe the conductor, too, was called into question. He was the only person on stage who didn't produce sound. Musicians laugh at this kind of thing because it is so far from the reality of what the tradition of good music dictates. Yes, of course, you could eliminate all but one string player in each section, but you would not then have a symphony orchestra. It would be something else. "Diversity in styles and hymnal access". This is a Red Herring. I find it hard to believe you have greater access to diversity of style and hymnal if you are reliant solely on electronic means. The best way to have creative music is to have a professional musician who is rooted in your congregation and engaged with relevant professional organizations like the American Guild of Organists, the Association of Anglican Musicians, and the Hymn Society. The most lamentable part of "The Future of the Organ" article isn't about efficiency or any of the perceived "advantages" listed above; it's the fact that excising the human element of music in worship is horribly destructive to the role of music in the liturgy. 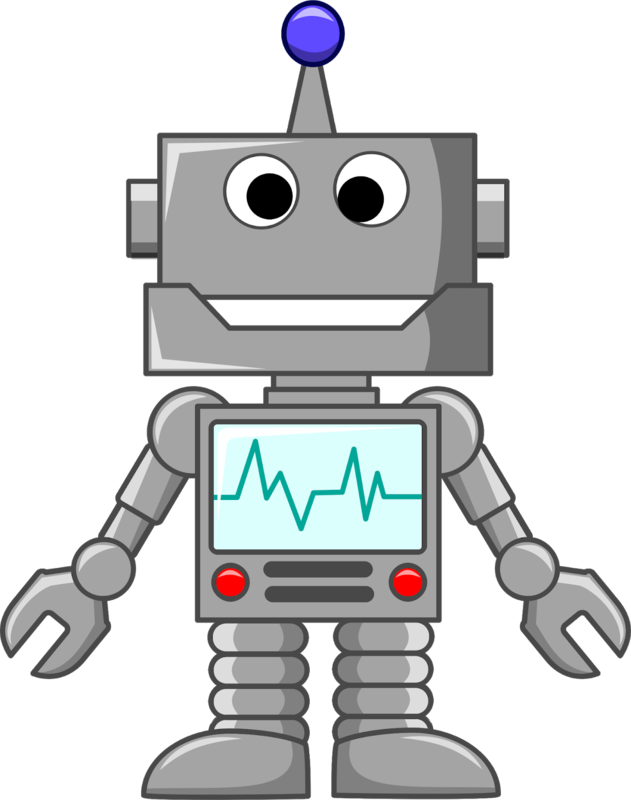 An organist robot does not perform in a human sense. Furthermore, I am dubious of the ethics in having the regular organist record music on MIDI to be played in his or her absence, also mentioned in this article. Everyone is entitled to some amount of vacation, right? Does the rector record his or her sermon in advance and simply have it broadcast over the church public address system? I hope not. Yes, recording sermons or organ music in advance is possible, but it is not desirable. Even when we are fortunate enough to have human organists, let's please not treat them like robots. If you want sermons that are relevant to the community, they must be preached by someone in that community. If you want a church music that is relevant to the community, it must be led by people in that community. I have a specific way that I like to lead breaths in hymns. Many years ago, I became convicted that I and too many organists are guilty of rushing each successive stanza of the hymn one after another. It diminishes a congregations ability to mentally finish the words they have just sung, get a good breath, and a confident start on the next stanza. In every congregation I have served, I can hear the congregation adapting, hymn by hymn, week by week, year by year, to the way I lead breaths between stanzas of a hymn. Sometimes I don't have it quite right, and their singing lets me know. We're in the room together, and its a symbiotic relationship. I guarantee you a robot cannot do this. In fact, the symbiotic breathing I am describing is the opposite of robotic. It's the very definition of being human. In the "Future of the Organ" author's own words: "many young Christians have grown weary of the high tech entertainment based worship and seek something with deeper ties to historical Christianity." Robots don't have deeper ties to historical Christianity, at least not yet. I bought my car with “drug money.” Yes, I was working in an Episcopal Church at the time. I've about had it about up to here with all the anti-wealth rhetoric leading up to the annual conference of the Consortium of Endowed Episcopal Parishes (CEEP) meeting in Boston this week. I am not attending this year, but I have attended a conference in the past, and I've worked for three endowed parishes in the Episcopal Church in the past twelve years. I'm not sure what it is exactly that people assume happens at these CEEP conferences, but from some of the discussion on social media, you might assume that attendees sit around wearing cassocks and smoke cigars lit from flaming dollar bills. Spoiler alert: this is not what goes on. The list of CEEP member parishes (which is public) includes nineteen Episcopal cathedrals, and churches from every state except Alabama, Hawaii, Idaho, Iowa, Maine, Montana, Nebraska, Nevada, New Hampshire, New Mexico, North Dakota, South Dakota, Utah, and Vermont. Some of what I read online is anti-endowment. This just doesn't make any sense. Every parish asks members to give. Why is it so problematic if members give a lot? What if the church, from a gift, or a series of large gifts, is able to begin an endowment? Do we really not want financial security for our churches? Parishioners give large gifts to their parishes because they love God, and they love the places in which they have worshipped God. Eli Lilly famously endowed three churches in Indianapolis, Indiana along Meridian Street, the street that bisects not only the city but lies at the north-south axis of the whole state: Christ Church (now a cathedral), Trinity, and St. Paul's; together, they are the "Meridian Street Parishes". My first full-time job was as the Assistant Organist and Choirmaster of Christ Church Cathedral, Indianapolis. I was elated. I had "made it" as a professional church musician, which was my goal from about age 12. At the same time, I also realized that my thirteen-year-old Ford Crown Victoria wasn't the best choice of car for the extreme commute that I faced from Bloomington, Indiana for the foreseeable future (especially in the winter months). So, I decided it was finally time to buy a new car, and I bought a gray Honda Civic (not a Lexus, mind you). I still drive it. It turned 180,000 miles this weekend. Given that a full-time assistant organist position was a rarity in the church (and still is) I think it's safe to say that one of the reasons the position existed was because of Christ Church's endowment. Since this endowment was begun by the pharmaceutical industrialist Eli Lilly, I enjoyed telling people that I had bought my new car with "drug money." That's not all. I also played an organ that was purchased with "drug money." Ruth Lilly, who gave a $100 million gift to Poetry magazine in 2002, also gifted Christ Church with an organ in 1991: the gallery organ built by Taylor and Boody in 1992. It is said that the bishop at the time, the Rt. Rev. Ted Jones, suggested that the gift would be better deployed by gifting several smaller churches in the Diocese of Indianapolis their own pipe organ rather than adding an additional organ to the Cathedral (Christ Church already had a sizeable organ by Hellmuth Wolff in the chancel). And while there is nothing wrong with this idea, per se, it doesn't have quite the same grand vision that Ruth Lilly must have had. The presence of this additional organ greatly enriches the music and liturgy of worship in this cathedral for the whole Diocese. Furthermore, the Cathedral sits in the very center of busy downtown Indianapolis and is uniquely suited to offer music to the whole region, not just on Sundays but during the week as well. Five weekdays a month, I played the organs (both of them at every service, mind you) at Evensong. These services were also broadcast on the radio. For many years, the Cathedral was able to maintain a weekly organ recital series, in part due to the high quality of both of those instruments, particularly the Taylor and Boody. For me, personally, I will say that the organ was a delight, and I spent every spare moment I could on this organ. I sincerely believe this organ made me a better organist early in my career, and everyone – Episcopalian or otherwise – who has heard me since is a beneficiary. I probably don't say it enough, so let me say it again now: thank you, Ruth Lilly. Isn't it the nature of gifts that giving begets more giving? Everything that is given to our churches – pledges, endowments, stained glass windows, organs, vestments, 30 copies of an anthem, a new clergy position, a bronze bust of someone who appears in Lesser Feasts and Fasts – all of it has the possibility to form congregations and communities as disciples of Jesus Christ. I hope that we are not too quick to criticize the givers of these gifts, but rather we respond with immense gratefulness and go and do likewise. We should be grateful for CEEP. We don't need fewer CEEP conferences or attendees. We need more. Why? Because I think we all agree that it's important to use endowments wisely. To whom much is given, much is expected. I can't remember who said that – it was either Jesus or Gandolf the Grey. Do these parishes mess this up sometimes? Yes, for all have sinned and fallen short of the glory of God. We should be grateful for endowed Episcopal parishes. We don't need fewer endowed Episcopal parishes. We need more. Every church asks its members to give. We should be grateful when members actually do and when some of those members have the means to give more than the church can wisely spend in a given fiscal year. I've worked in rich churches, and I've worked in poor churches. In my experience, endowed churches are still just churches. The copier still breaks down, the staff still celebrates birthdays, the undercroft still floods, the Gospel is still preached, the Eucharist is still celebrated, God is still praised. What makes endowed churches different is that they can and should do more. They should be the best versions of themselves that they can. Endowed parishes should be encouraged to think and act creatively, and many do. These innovative staff positions, creative projects, and new missions should be more readily shared with the wider church. Many of these projects fail. I know. I've seen them. These results should be shared too. Finally, the whole Consortium should be willing to act boldly and creatively for the sake of the Gospel. The UCC and the Methodists have attractive, memorable national advertising campaigns. Why doesn't the Episcopal Church? If Bishop Curry would agree to do a Super Bowl commercial, the members of CEEP could probably pick up the tab. On the First Sunday after Christmas, we sang a service of Lessons and Carols with Holy Eucharist at the parish where I serve as organist and director of music. I'm not breaking new ground here. Drop me a line (comment below) and let me know what lessons are used at your service. I'd love to know more about what the church is up to here. I want to share some thoughts on this with you today for several reasons. On the 100th anniversary of Lessons and Carols at King's College, Cambridge, it seems worth recovering something of the spirit of the "more imaginative" worship of which Eric Milner-White was a proponent. I think too often, parishes echo the King's service a bit too closely, and the effect is one of pale imitation, rather than an authentic liturgical expression. In some places, there is a desire to do this service, but the thinking tends to be black or white: "we must do all nine lessons or not do the service at all!" This is wrong. In other places, the solution seems to be: "let's just do the whole thing before Christmas Eve!" And the service takes place on the Third or Fourth Sunday of Advent. This may be musically satisfying, but it is liturgical suspect. The propers for the First Sunday after Christmas can be integrated into this liturgy quite easily. With judicious selection of readings (we chose six), Holy Eucharist can be celebrated. Using Lessons and Carols during the Christmas Season helps to heighten the parish's sense of Christmastide celebration. Clergy like to point out that Christmas lasts for twelve days. If it does, we should find ways to make it festive. Many choirs learn a great deal of music for Christmas Eve. Why not get a bit more use out of it? There is no situation where this order could not be adapted for the musical resources available. I hope this will be useful to many Episcopal (and other churches) that may wish to imitate what we have done. Some background: St. Peter's, St. Louis, the parish where I work, had a long custom of Morning Prayer, but has in recent years moved to a near-weekly celebration of the Holy Eucharist at the principal liturgy. When we conducted this service on Sunday morning three years ago, we were able to use the full nine lessons in a "Morning Prayer" mode. But, with the addition of Holy Eucharist, this was untenable. Can I just pause here to say how much I admire (and envy) the custom of Christmas Lessons and Carols at Church of the Advent, Boston on New Year's Eve? St. Peter's has full choral Lessons and Carols services for Advent and Epiphany, so this Christmas service is not as important as it may be in some places. It seemed good to us to be slightly experimental with this liturgy in that it does attempt to fully reconcile a service of Lessons and Carols with a celebration of the Holy Eucharist, and the result – I think – was very successful. Here's a play-by-play of the service, which was preceded by the Prelude on "Irby" by David Willcocks (found in the Oxford Book of Christmas Organ Music). Processional Hymn: "Once in royal David's city"
I do think it's good to begin this service with this hymn, though I have been known to use a different hymn. And I think it's good to have at least two stanzas sung from the choir where possible. I had toyed with the idea of the full soprano section singing the first verse in unison, but without the aid of a conductor, this proved unwise. There's nothing wrong with a solo voice, it seems! To add a bit of originality, I wrote my own descant for this tune. The textual differences between the Hymnal 1982 and the version found in Carols for Choirs 2 are maddening. Pick one and stick with it. (Note to self: take this advice next year.) When in doubt have the congregation sing one version and the choir another (haha! This is a joke!). Here is where "local interests" may appear, but seldom do. We added in the full name of our Diocese and made a couple other minor changes to eliminate gendered language. It is important to omit the Lord's Prayer from the Bidding, as it will be prayed during the service of Holy Communion. Beloved in Christ, be it this Christmastide our care and delight to prepare ourselves to hear again the message of the angels; in heart and mind to go even unto Bethlehem and see this thing which is come to pass, and the Babe lying in a manger. Let us read and mark in Holy Scripture the tale of the loving purposes of God from the first days of our disobedience unto the glorious Redemption brought us by this Holy Child; and let us make St. Peter’s Church glad with our carols of praise: But first let us pray for the needs of his whole world; for peace and goodwill over all the earth; for unity and brotherhood concord within the Church he came to build, and especially in this Diocese of Missouri. Lastly let us remember before God all those who rejoice with us, but upon another shore and in a greater light, that multitude which no man one can number, whose hope was in the Word made flesh, and with whom, in this Lord Jesus, we for evermore are one. The Almighty God bless us with his grace; Christ give us the joys of everlasting life; and to the fellowship of the citizens above may the King of Angels bring us all. Amen. This Invitatory Carol after the Bidding Prayer should be considered optional, I think. I had planned on one initially. But in the late stages of putting the service together, I decided to cut it. I'll note the full specifics of the music we used below. I referred to this as our "just add water" Lessons and Carols, since it was mainly music we had sung on Christmas Eve. But obviously the choice of music can make the service anywhere from exceedingly simple to ridiculously complex. A very satisfying order could be made of all hymns from the Hymnal 1982. One or two pieces should be sung after every lesson (one of which could be a hymn). This is the First Lesson in the King's service. In our service, these Lessons are read very much as they are every Sunday. They were from the NRSV, as they are every Sunday of the year. They were introduced with "A lesson from..." and concluded with "The Word of the Lord / Thanks be to God." This is the Fifth Lesson at King's. This is the Sixth Lesson at King's. Hymn 87: "Hark! the herald angels sing"
I've included this hymn by name, since I think whatever is sung after the final lesson needs to be "big," as it is at King's. There's no need to throw "O come, all ye faithful" into this service necessarily (we used "Angels from the realms of glory" as the final hymn, and the roof lifted slightly), but I don't think you can go wrong singing Mendelssohn after the prologue to John's Gospel. In this case, the Collect for the First Sunday after Christmas. After which, the service procceds like a standard Holy Eucharist. Final thoughts: we did not incorporate the Epistle Lesson for the First Sunday after Christmas. This is a very short lesson, and this would be easy to do. It does not seem desireable, however, to incorporate the proper Psalm in a service of this type. I'm also aware that this activity flies in the face of the perscription NOT to replace the Word of God with a service of Lessons and Carols in the Book of Occasional Services. I think that guidance is, well, misguided. As promised, here are the full details for the Service of Lessons and Carols and Holy Eucharist sung on the First Sunday after Christmas at St. Peter's, St. Louis. Hymn 89: "It came upon the midnight clear"
Hymn 101: "Away in a manger"
Communion Hymn 104: "A stable lamp is lighted"
Hymn 93: "Angels from the realms of glory"
It is only speculation, but I venture the opinion that the immense popularity of the Service of Nine Lessons and Carols at King's College Chapel, Cambridge, (when compared with the popularity of sung evensong anywhere) arose from the fact that the invention of this service aroused a response through its paradoxical quality. Here was a cathedral foundation singing not Stanford in C or Wood in the Phrygian mode but the earthy, secular, cheerful, friendly songs of Christmas. The collision of this earthiness and familiarity with cathedral remoteness and beauty caused a minor explosion in the affections of the British public. It is interesting to observe how, with the gradual rising of the standard of that choir to something as near perfection in its own line as mortals dare approach, there has been, over the fifty years of its acceptance as a national institution, a gradual de-sacralizing of the music. One by one the vestiges of cathedral romanticism have been pared away—Walford Davies's "O little town," for example, gave place to a Bach recitative and chorale, and this in turn gave place to the austere medieval hymn "Corde natus." Carols of the F-sharp major Pettman school have gradually made way for the fresh simplicity of Berkeley's "I sing of a maiden," the good-humored asperities of Mathias' "Nowell," and the gaunt medieval coolness of "There is no rose." King's College Chapel will remain romantic as long as it stands; even Thomas Tallis will sound romantic there as long as people think of the place with the affection they show at present. Routley, Erik. Church Music and the Christian Faith. Agape, 1978, pp. 47-48. The Latvian composer Ēriks Ešenvalds was in St. Louis this weekend for the premiere of a new choral work with the St. Louis Chamber Chorus. On Friday afternoon, he gave an interview to the public radio station here. And at that time, Whitney Houston was very popular singer. You know, she still is one of my top, top singers because there is such a freedom in her voice. … We couldn't buy her sheet music in Soviet Union, but we did saw her on TV, we heard her on radio and audio cassette. So, so main subject in during music school was piano playing. And I was very good in the piano. So I just learned to play her songs by listening. And I was surprised to figure out that her songs consisted of playing chords – six, seven different chords. … Those beautiful songs were created just with simple chords. And that was like the next step.… But that was the beginning at age 10, 11, thanks to Whitney Houston. Listen: the Whitney Houston portion comes at about 13 minutes in. I've always been quite taken with Stephen Cleobury's arrangement of "The Cherry Tree Carol". It's a traditional English carol about a pregnant Mary and her husband Joseph walking through an orchard. Mary wants a cherry and the cherry tree itself, recognizing who Mary is, bows down to her so that she can easily pluck cherries. I find the idea compelling. Nature itself recognizing the Queen of Heaven. And because Mary is still pregnant throughout this carol, it works at Advent or Christmas carol services. But as I compared two slightly different versions of Cleobury's arrangement recently, I noticed a profound difference in the role Joseph plays in the carol. In Cleobury's first version of this arrangement from 1985, he sets a seven stanza version of the carol. (This version is available in a publication called A Trio of Carols from Oxford.) Joseph doesn't really do or say much here. All with her heavy load. In this carol, Joseph seems to know that the tree is ready to bow down to Mary. He encourages her to go to the tree. In the penultimate stanza, Joseph rejoices with Mary, if the lines "O eat your cherries, Mary" can be considered rejoicing. Maybe it's just some encouragement? This is odd. Perhaps Mary is skeptical about the tree's intentions. Anyway, Joseph comes off as a supportive husband in this one. In the version that is more familiar to us now, however, the carol is rather dramatically reworded. There is an additional stanza, and Joseph doesn't come off well at all. This "new" version is published in Advent for Choirs from Oxford and is published separately. It was in the King's College Choir's hands as early as 1996. Things take a severe turn in that fourth stanza. In this "new" version, he is not exactly a supportive husband. In the "old" version, Joseph was happy to tell Mary how to get the cherries. In fact, he was privy to the knowledge that the cherry tree was willing to bow down. Here, however, he seems to have some unresolved issues with Mary's pregnancy. Furthermore, the in utero Christ gets a voice in this carol, which is perhaps unique in the carol repertoire(?). But the inherent conflict in this carol gives the narrative more texture. From within the womb, Christ instructs the "tallest tree" to bow down. The connection we are meant to draw, I think, is that "him…that brought thee with child" is depicted here with nature itself operating at Mary's command. In the "old" version you could describe Joseph as lazy, at worst. In the "new" version Joseph is mean, but his momentary cruelty allows for Mary's command of nature to stand more clearly as a symbol. What I find utterly awkward in this "new" version, is the egg-on-his-face Joseph of the penultimate stanza. There is a brief apology in there, which is nice. It's addressed to us, the audience, but I wish we could just sit Joseph down and be like, "look, dude, apologize to your wife directly." It would be the catharsis this carol needs. The feeling of things being unresolved persists for me, not only with Joseph's weak, saccharine apology but also with the way Cleobury masterfully arranges the last line of this carol: "all with her heavy load." Not only is she bearing the infant Christ, but she's burdened with this mean "old man" as her husband. In 2017 the board of the Association of Anglican Musicians appointed a task force to craft a resolution for General Convention that would support the ministry of lay employees of the Episcopal Church. The task force membership includes Dr. Paul Ellison, Marty Wheeler Burnett, the Rev. Geoffrey Butcher, Linda Patterson, and Ellen Johnston. The duties and requirements for the ministries of Bishops, Priests, and Deacons are outlined in multiple canons giving the requirements and duties of those in holy orders. No canon is provided, however, outlining the duties and responsibilities of Lay Employees. This resolution will not just affect church musicians (both full time and part time) but will also cover all lay employees – Christian education directors, parish secretaries, parish administrators, bookkeepers. It calls for letters of agreement to be executed by the church and her employees, which includes a job description, details of salary, a provision for an annual review, and a dissolution clause. These are issues of fairness, justice, and equity. There has been concern expressed by some as to how this affects “at will” employment states. Of course, this canonical change, if approved, cannot override state laws; however, the Church should do better by her employees than relying on the lowest common denominator. Sec. 9. Any Lay Person accepting employment within the Church in any capacity is entitled to a letter of agreement describing the duties and responsibilities of the position, including details of salary and any benefits. The letter will include provisions for an annual performance evaluation, procedures for the reconciliation of disagreements, and contain a clearly articulated dissolution clause. Employees are to be circumspect in their conduct avoiding any moral or pastoral conduct of a nature to bring material discredit upon the Church. The task force urges you to contact your bishops and your General Convention deputation and ask them to vote for Resolution B006. This is a matter of justice for all of the lay employees of the Episcopal Church. 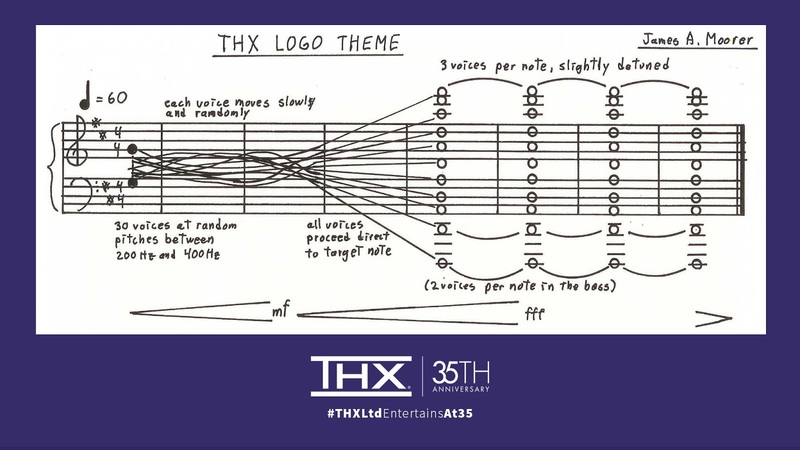 It comes as no surprise to us that the THX "Deep Note", the sound created by Andy Moorer that accompanies the THX logo, was inspired in part, by organ music. ... I wanted to start with something that would thoroughly bewilder everyone. They wouldn't be sure that the sound was being played properly, or whatever. That is, to start with chaos and then evolve into the big chord, like a great organ chord. I'd always been impressed by the huge pipe organs and the sounds it could produce, so that was sort of the idea I had in the back of my mind. The good stuff starts about nine minutes in, but really the whole thing is worth hearing.